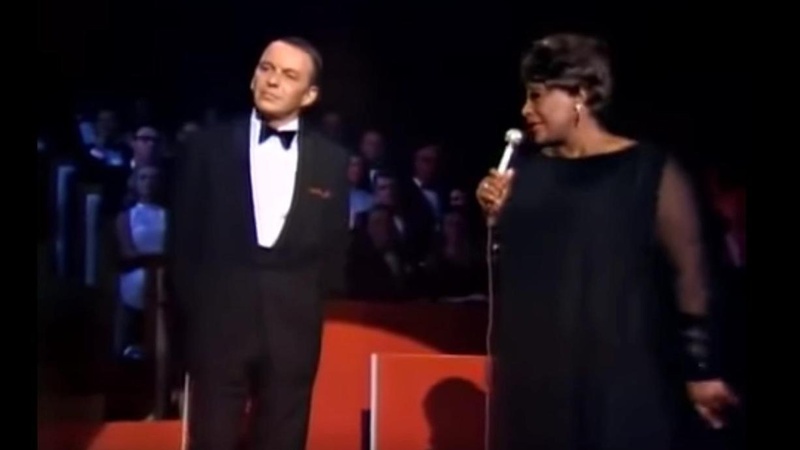 If you want to fall in love, if you want to totally and utterly get inspired by two superb performers: check out Frank and Ella’s version of ‘The Lady Is A Tramp’ on YouTube. You are in for a ride. At least, I was over the moon seeing them together. And now I’m still in love with Frank. The sheer fun, timing and playfulness. The magical little gestures, the connection between them. The dancing moves. Why do I feel that need? Is it due to a lack of attention growing up? Was it because I felt held back being such a shy teenager? Or is singing simply my way of connecting to people? I always felt furious – while being at a loss for words to describe something I experienced – when someone would burst out to me: “Oh, Ils, just sing it.” And yet, basically, that is what I do. If you catch me singing a tune out of the blue, the chances are that I sing that song because of a subconscious drive. And sometimes it catches me by surprise. Aha. So this is the way I feel today. Recognize this? How about you? Now, back to Ella and Frank. And the magic of performing. The magic of being present in the moment. To feel that childlike joy and enthusiasm. To let go of all fears of making mistakes. Ranging from counting in too fast or counting in too slow, messing up your lines, singing out of tune, to plainly making a fool out of yourself. (Familiar, anyone?) You will feel more confident when you have been studying at home, going over your lines, polishing your sound, brushing up your timing. You may have heard me saying this before; I’m a firm believer of recording everything you sing – on stage or at home. So record your song or show on video and learn from everything you see and hear. I’m sure that you will see moments that will delight you and yes, there will also be moments that make you want to vanish into thin air. Keep the faith. Practice will get you there! You know, we all had to start somewhere. See you on stage!